Here are three films the captive marine mammal industry does not want you to see! 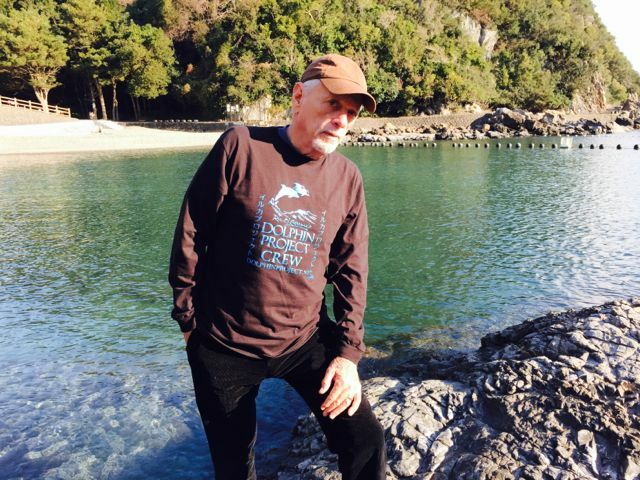 The Cove: Using state-of-the-art equipment, a group of activists, led by renowned dolphin trainer Ric O’Barry, infiltrate a cove near Taijii, Japan to expose both a shocking instance of animal abuse and a serious threat to human health. A Fall From Freedom: The first comprehensive film to reveal the long and sordid history of the captive whale and dolphin entertainment business. Many of these marine parks and aquariums are directly or indirectly responsible for the death of thousands of the very animals they use for public entertainment. Premature deaths. Trainer injuries. Illegal practices. Educational misrepresentation. Government incompetence. Secret deals. These and many other issues are presented, and documented for the first time in this powerful documentary, narrated by actor Mike Farrell. The documentary, The Cove, is in part responsible for what some people call “the 180” I recently took in life. Finally getting up the nerve and deciding to watch The Cove was a life changing experience for me. Prior to the release of this documentary I was completely unaware of the annual dolphin drive hunt that takes place each year in Taiji Japan. I’ve heard many people say that they simply do not want to watch The Cove, because it’s sad and they do not want to see the slaughter of dolphins. To those people who are afraid and unwilling to watch this documentary, I say just take an hour and half out of your life, watch it and become educated! People watch violence in movies all the time, but when it comes to real life, there are many people who do not want to believe it actually happens. Don’t turn a blind eye to what really happens, take the time, and watch The Cove! 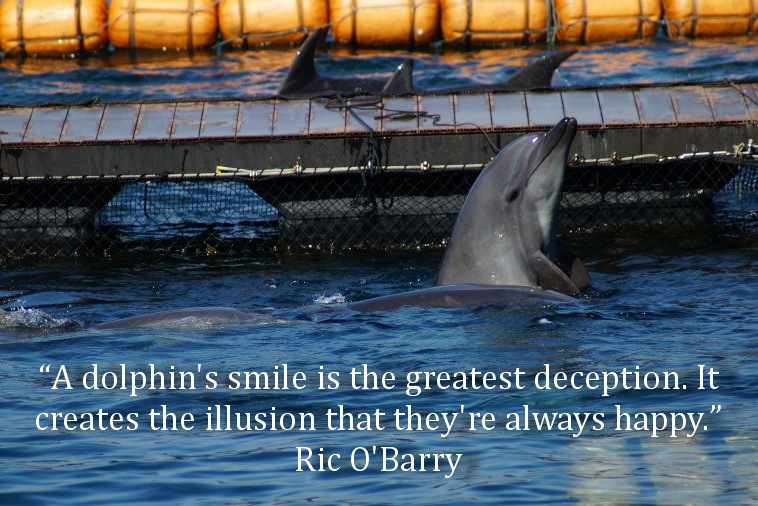 I guarantee it will change your perspective on dolphin captivity. This is a brilliant documentary and the lengths the individuals involved in the film were willing to go to expose the dolphin slaughter is amazing! For instance, going out in the middle of the night and hiding high definition cameras in rocks to record video from vantage points that would have never have been seen before. Sending free divers into the waters of the Cove to place under water cameras and sound recorders. 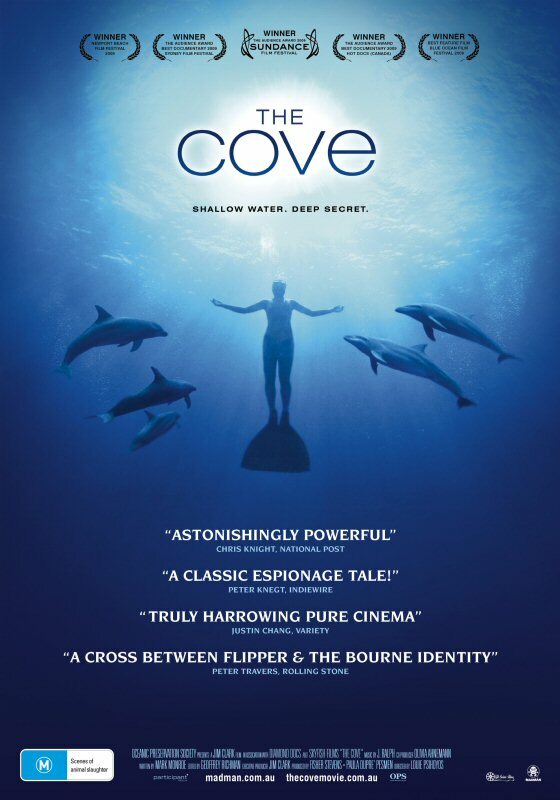 The Cove is a combination of Mission Impossible and Ocean’s Eleven. A team made up of people with special skills, filming what was believed to be the impossible! Mission accomplished and ingeniously done! For myself, The Cove was a catalyst for change in my life. 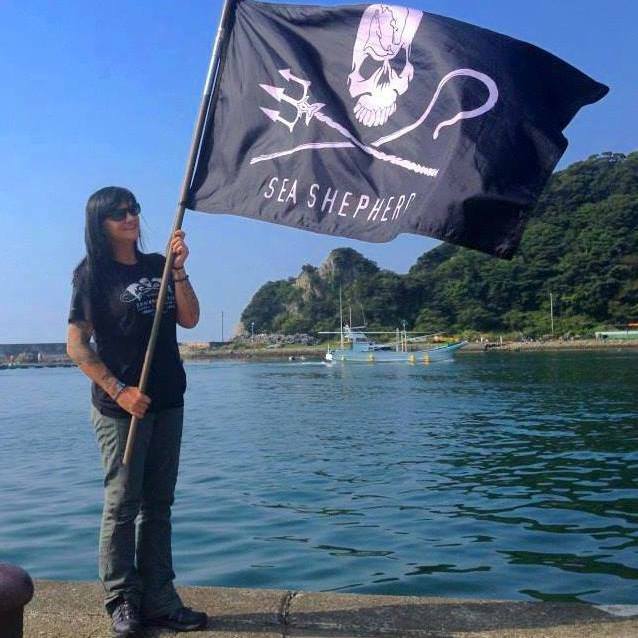 I have since become more involved, by following the various campaigns currently on the ground in Taiji, who bear witness to the annual slaughter. 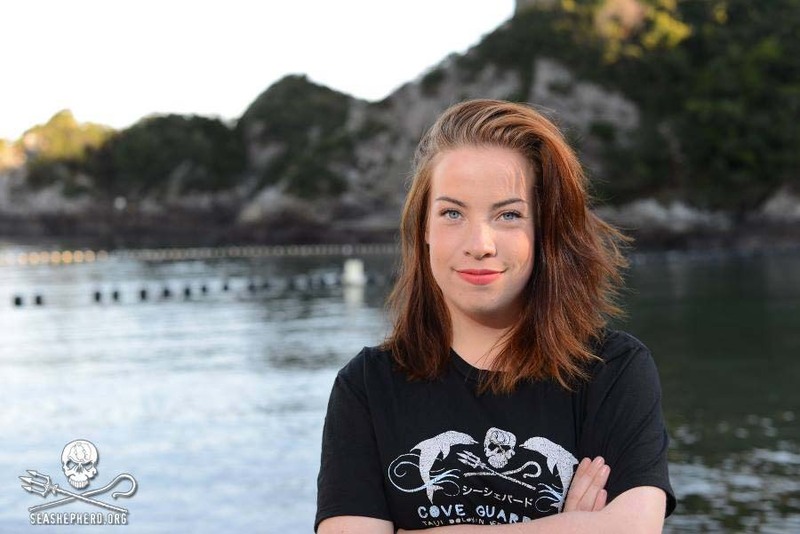 I have chosen to take a stance against the dolphin slaughter, by informing others of what is still happening in Taiji and will one day stand at the infamous Cove in Taiji to be a voice for the dolphins. And I will certainly never visit another aquarium, Sea World, Marine Park or swim with dolphin program again, if I had known what I know now I would have never visited any of these places in the first place. Only in Taiji can you go to a Dolphin Show and eat dolphin meat at the same time – that’s right they serve dolphin meat at the show. So while you are sitting there watching dolphins perform tricks your entertainment, you may also be eating that dolphins family member. 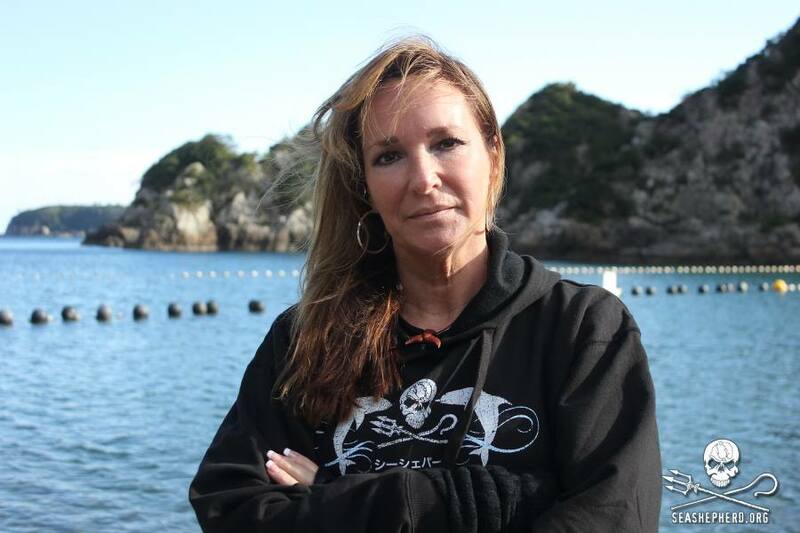 The Taiji dolphin slaughter resumes every year in September … unless we stop it! Here is an extended clip of The Cove. The Cove is a 2009 documentary film that analyzes and questions Japan’s dolphin hunting culture. It was awarded the (82nd) Academy Award for Best Documentary Feature in 2010. 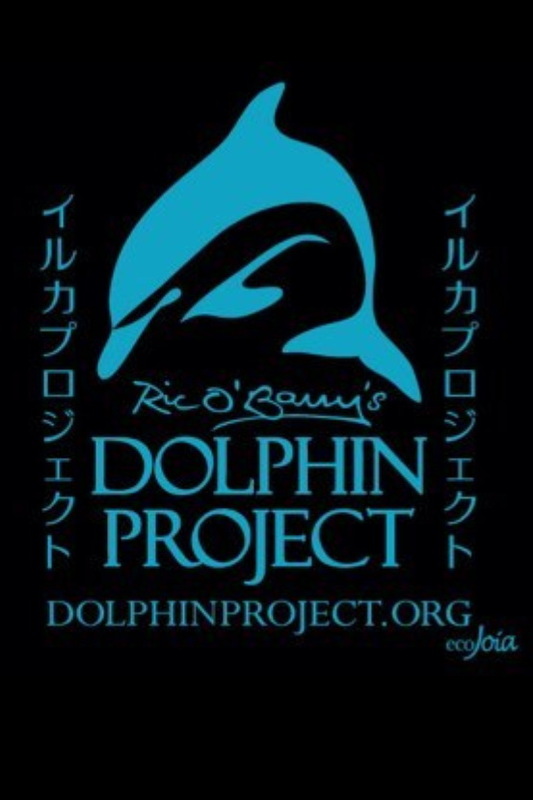 The film is a call to action to halt mass dolphin kills, change Japanese fishing practices, and to inform and educate the public about the risks, and increasing hazard, of mercury poisoning from dolphin meat. The film is told from an ocean conservationist’s point of view. The film highlights the fact that the number of dolphins killed in the Taiji dolphin drive hunting is several times greater than the number of whales killed in the Antarctic, and claims that 23,000 dolphins and porpoises are killed in Japan every year by the country’s whaling industry. The migrating dolphins are herded into a cove where they are netted and killed by means of spears and knives over the side of small fishing boats. The film argues that dolphin hunting as practiced in Japan is unnecessary and cruel. The documentary won the U.S. Audience Award at the 25th annual Sundance Film Festival in January 2009. It was selected out of the 879 submissions in the category.